Did the Supreme Court just Kill Dirty Coal Plants & Save the World? 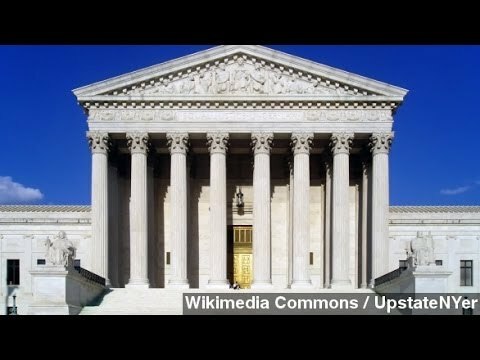 The Supreme Court on Tuesday affirmed that the Environmental Protection Agency has the prerogative to regulate air pollution that spills across state lines. The EPA wants to force 28 states to reduce emissions of sulfur dioxide and nitrogen oxides from their power plants. Sulfur dioxide causes acid rain and breathing problems. Nitrogen oxide causes ground-level ozone, which is a big problem in cities such as Los Angeles. The biggest source in the US of sulfur dioxide and nitrogen oxide is coal-burning power plants. A typical coal plant emits 14,000 tons of sulfur dioxide a year, and those plants with environmental controls still put out 7,000 tons a year of the toxic material. Coal plants without special controls put out 14,000 tons of nitrogen oxide a year. Even if they have environmental controls, they still produce 3,000 tons of the stuff a year.